We've posted an article like this a while ago and now its time for another apparently. 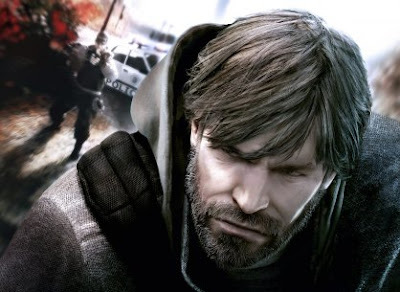 Splinter Cell: Conviction has been moved from the fourth quarter of 2009 to the first quarter of 2010. Deus Legends Take: Well this takes a game off my list for this years packed game line up. Welcome back to America's Game! As I had promised in my last post, I will share some highlights of others in our Online Dynasty. I love this play by Finch. Not only did his running back manage to juke the Maryland defenders out of their jock straps, he was then unselfish enough to pitch the ball back to his trusty quarterback, running downfield. Nice play Finch! Unfortunately, this is the only uploaded video from anyone else in our Online Dynasty. Please, post those videos! We are about half way through our first season in our NCAA 10 Dynasty. It has been a fun ride. Some teams have lost memorable games, some teams are riding out this season to play for next year. We have had two players drop out but we have added two better Dynasty members. As of writing, it looks like Texas is heading to the Championship game. A lot of our teams are in the mix of moving up in the rankings. There will be another XBLNCS update when bowl time rolls around next week for the first season of our Dynasty. Stay Tuned! Microsoft has just announced that the upcoming Xbox Dashboard update will be hitting Xbox Live on August 11. The update is set to include many new features, including Games on Demand, improved Netflix performance (along with Movie Parties), Avatar Awardables, Avatar Marketplace, the ability to rate games, new Friends list sorting options and more. The announcement also mentions that previously announced Twitter, Facebook and Last.fm support is slated to arrive this fall. Welcome back to America's Game! The game has been out for nearly a week now, and I have many great highlights and photos to share with you all. Let's start you off with a little highlight from Deus Legend.. Even though this was only a two yard gain in the books, it was sure fun to watch. His players thought they were playing volleyball rather than football. From my offline Dynasty with my TeamBuilder team, the Spokane Shock vs. Notre Dame. Deus Legend with Ohio State pulls a fake field goal vs. Wisconsin, resulting in a huge touchdown for the home team just as the first half expired. From myself using Oklahoma State going up against Deus Legend using Georgia Tech. Deus scrambles out, but is picked off for a quick six going the other way. From BlazenHawk's Road to Glory Mode. Blazen manages to elude the Oregon Ducks defenders until the endzone. Rather than going through or around the defender, he decides to go over the top. Here's a quick snapshot of my wide receiver making a great catch on my TeamBuilder team. I will post another America's Game later this week with more highlights from our other Online Dynasty members, so please continue to upload those spectacular highlights! Until next time, this is Jerhawk. Stay tuned! Rumor: WWE SVR 2010 to Feature Online Royal Rumble? First details of the upcoming WWE Smackdown vs. Raw 2010 video game has apparently been posted by THQ on their French website earlier this week. Among the juicy details scooped by gaming site Ve3tro reveals that for the first time, the game will feature an online Royal Rumble mode, a complete overhaul to the ‘Road to Wrestlemania’ mode and many more. Other features expected for the game includes an updated roster of wrestlers and extensive customization option. The wrestling game which was announced at E3 this year is being developed by Yuke's and will be published by THQ for the Xbox 360. More info on the game is scheduled to be released on August 23, 2009. This year the developers at EA Canada are turning that mode on its head a bit with the creation of Be A GM. This allows you to, well, be a general manager for any NHL team. Hello everyone, and welcome back to America's Game. With the recent release of NCAA Football 2010, we here at Xboxlivenetwork.com are very pleased to share some highlights with you. I will choose some of the best highlights from everyone involved in our Online Dynasty and post them here weekly. The matchup was Boise State (Jerhawk) vs. Georgia Tech (Deus Legend). Towards the end of the third quarter, the Boise State quarterback was swarmed in the backfield on what was supposed to be a simple handoff to the running back. However, with some quick feet and quick thinking, he pulled a Harry Houdini on everyone. Deus Legend pulls a trick play on Jerhawk shortly after that amazing QB run with this halfback toss/pass. The wide receiver is able to outrun the Boise State defense on his way to the endzone. Deus would go on to win this game 31-17 as Jerhawk sank like the Titanic on his maiden voyage. From user BlazenHawks using the Oregon State Beavers, he returns this pick for a quick six against Penn State. Another play from Deus Legend (Georgia Tech) vs. Matt7692 (Virginia Tech). Matt was in a pressure cooker, causing an errant throw right to the Yellow Jacket defensive tackle for a pick six. 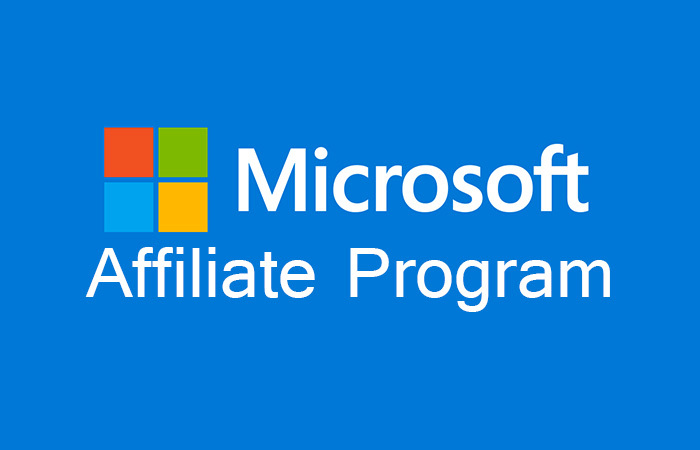 If anybody else out there has any other highlights that they would like everyone to see, please post a comment with your gamertag so we can put in on our next episode of America's Game! Codemasters today announced the official release dates for Dirt 2. The off road racing game will hit US shores on September 8, Europe on September 10 and the UK on September 11. See the game in action in the video above. Welcome back every one like I promised I am going to be doing a review on NCAA Football 10, but before I do that I am going to give you a history of the game. In 1992 NCAA Football was originally known as "Bill Walsh College Football" and was released on 4th generation video game consoles, such as Sega Genesis. "Bill Walsh College Football 95" was the second installment of the college football franchise. Then came College Football USA 96’ and 97’.The name did not change to NCAA Football till 1998 then a game has been released every year since. Did you know that EA did not start making the game them self till 1999? EA was Publishing the game but not developing the game. The previous developers were High Score Productions, and Visual Concepts(Makers of NFL 2K and NBA 2K). Now on to NCAA College Football 10 this game was just released on July 14, 2009 but, before we already bought the game there was a new feature announced called team builder where you can build your own uniforms, stadium, team name and city were you play, also you can rename the players to what you want. to get the Team builder click here. So when you put the game in you get the opening video which starts out with Oregon ducks (boo and yeah) the video us good with a good song. The new features that has been added to the game is season showdown were you have your Favorite team and you get points for you skill of the game and you go against other peoples teams. They have also made campus legend to road into glory with Erin Andrews initials EA (Nice one EA sports) this is one of the biggest things that they have made way better. They also improved the online dynasty but not much. The game play on this game is pretty much the same as last year the only thing that really have upgraded was more formations different talking animations and you can throw as you are getting tackling now. The downfall of this game is that the game play has not really changed. The other thing is that they want to buy stuff like extra slots for team builder, scouting for your dynasty I mean come on EA don’t you know that people are poor this is a tough economy stop trying to make us buy stuff on the game when we already have paid $60 for the game. The online is kind of fun but people are already glitching (Finch) and taking the fun out of the game. So After many hours of playing this game for my review I am going to give this game 3 stars out of 5. This game is fun to play it does have some downfalls which can easily be fix and I hope will for NCAA 11 For this game I would just rent the game because with Madden 10 comes out there is no point of buying the game when every one will be playing Madden 10. Again, I want to thank every one for taking their time to read this review and I hope every one has a great week and a great time having fun on Xbox. Deus Legends Take: To add to Blazes review, in a nut shell, NCAA Football 10 plays a lot like Madden 09 but with out some of the bad animations and money plays that always worked. Now there are still glitches and hitches in the game, but they are less noticeable in NCAA then Madden 09. I suggest anyone buy the game but, just take advantage of the trade-in deal GameStop has where you get $40 credit for NCAA towards Madden. Basically, you're paying $20 to rent NCAA for a month. Not a bad deal. Anyway, the game is solid and is worth playing but just to play til Madden comes. If you have friends then, Online Dynasty would be fun to compete with each other in. Online Dynasty alone will keep you busy til Madden or other great games come out this year. Enjoy the game for those who have it. I will give this game a 3 star out of 5. Infinity Ward community manager Robert Bowling has made a YouTube video of himself unboxing the Prestige Edition of Call of Duty: Modern Warfare 2. This edition will include working night vision goggles, a voucher code for downloading the previously rumored XBLA version of the original Call of Duty. 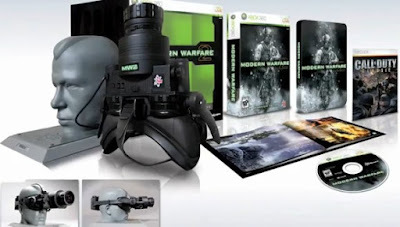 Also included is a steel game case, art book and a custom molded plastic head for displaying the night vision goggles. There is no word on price but, we will keep you all updated on the price as we get the info. From user "Jerhawk" using the Seattle Seahawks in a ranked match online against the Dallas Cowboys, Josh Wilson had an amazing Pick 6. From user "Deus Legend" this play showed a great spin move by Michael Turner of the Atlanta Falcons. This from "BlazenHawks" with the New York Giants. The Cardinals recovered the onside kick but got JACKED UP, resulting in a touchdown for the G-Men. Please join us here for Season 2 of America's Game. It's an honor to be able to host this show since I've been temporarily suspended from other duties. I hope to do a better job than Chris Cashman on 1 vs. 100 Live! I will try to make a post every week or so of the best highlights from users in our Online Dynasties, so upload those videos so I can show them here on the site! 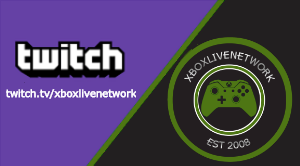 XBLNCS our governing body for our Leagues will return next Tuesday when both of our NCAA Football 10 Leagues start. We will have a Real Team League and a Teambuilder League. We are taking people for both leagues. If you would like to take part, leave a comment with your gamertag, team, and which league you want to participate in. You can be in both if you like just let us know. Also all players must abide by our XBLNCS rules. They are for Madden but they are interchangeable with NCAA. PLEASE READ RULES HERE!!! Difficulty is Heisman and 5 minute quarters. 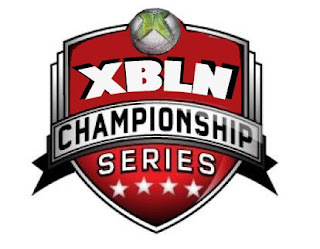 Grand Prize for Real Team League will be 1 month of Xbox Live. The Teambuilder league will not have a prize unfortunately. But feel free to join and have fun. 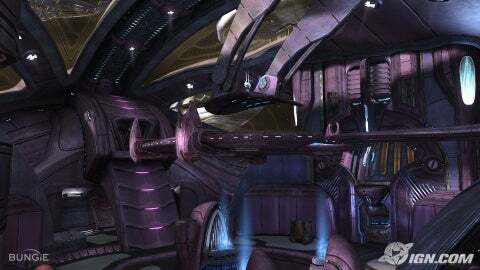 Heretic returns players to familiar ground as the Halo 2 arena "Midship" makes its long-rumored debut in Halo 3. The stark interior of the Pious Inquisitor might appear austere on first glance, but Heretic's symmetrical spaces require players to execute complex strategies in order to outplay their opponents. 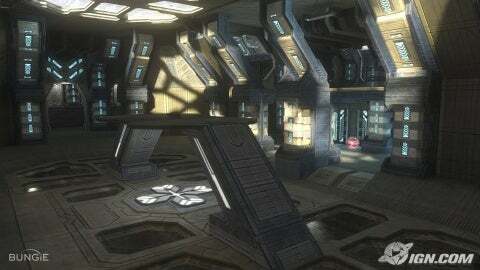 Citadel may be a long abandoned Forerunner stronghold, but its small, symmetrical confines are far from secure. Two opposing bases offer little safety for players looking for solace. Instead, Citadel forces small squads to stay in constant communication, keep their heads on a swivel, and be prepared to adjust combat tactics in close quarters. Longshore lacks the commercial ships that once made it a lucrative port for Old Mombasa, but it still bustles with activity. 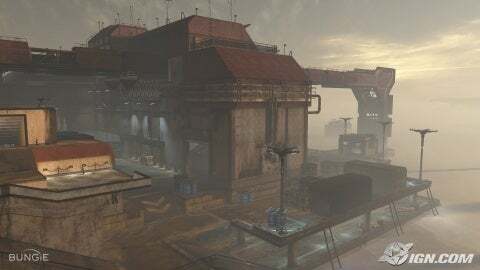 Designed for large scale combat and well suited for smaller affairs, Longshore's multitude of industrial buildings, elevated walks, and open inlets conspire to create a complex battleground tailored for multiple combat scenarios. America's Game Returns Next Tuesday! With the release of NCAA Football 10, America's Game will make its return. America's Game was our highest rated show last season (outside of XBL Total Access of course). America's Game come back for Season 2 next Tuesday to display amazing NCAA highlights. Also highlighted in season 2 will be highlights from, Tiger Woods, Madden, NBA Live, NBA 2K, and MORE! Also returning with America's Game will be XBLN Top Plays. This show as well will come out of hiatus and come back better than ever. Here's a sneak peak of what you'll see in America's Game Season 2! 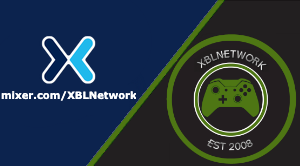 To Submit America's Game Highlights or XBLN Top Plays to us, please email us at xbln@xboxlivenetwork.com. Thanks and enjoy season 2 of both shows! Hey everyone, I haven't posted anything on our new site here since I couldn't seem to figure out how to create a new post! Well, I'm back, and I'm here to share a highlight. For those of you who haven't seen Fight Night Round 4 yet, here's a little clip I saved from the game. If you're interested about this game, check out BlazenHawk's review a few posts under this one. Hopefully when NCAA Football 10 and Madden 10 comes out, we will all be sharing some great highlights. Welcome back everyone I will be reviewing yet another EA game, and this was one was much advertised. They also showed this game at E3 more than any other EA game. If you have yet to figure it out I am going to do a review on Fight Night round 4. Fight Night Round 1 came out on April 5th, 2004 on the original Xbox were at that time it was good but unknown. Then they came out with Fight Night Round 2 which was released on February 28, 2005 on the original Xbox. The franchise really took off was when Fight night round 3 came out on February 20, 2006 on Xbox 360. 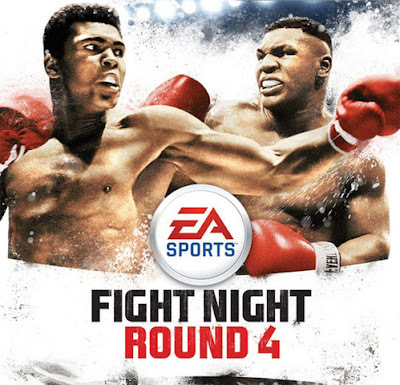 Now we are on the fourth version on the game called Fight Night Round 4 that was just released on June 24, 2009. The Game brings a whole new system as they revamp how you move, punch, and how you play the game. When you first start playing the game the opening scene looks good. The really good thing when you play the game right off the bat, is that you have you go through a tutorial for all of the new controls of the game which is nice if you have never played the game before or the demo. The graphics are so unreal with every year and ever game the graphics are just going to get better. Now to the game. The game when you first start out is kind of easy but, once you get to other fights, it gets real annoying because the computer seems like it will not hit you and you get hit like crazy no matter if you block it. The other thing that gets frustrating is when you are about to knock the computer down the computer grabs you and holds on to you. This happens in real life but it just get frustrating. If you got mad at Madden 09, then you will most likely get mad at this game very easily. 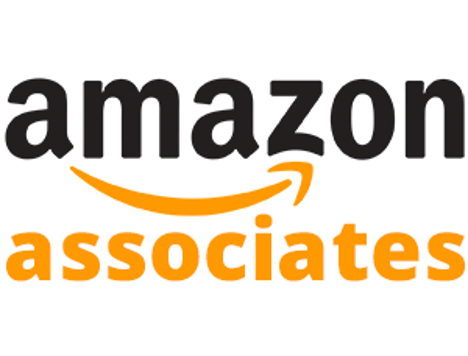 So after this review, I am going to give this game a 3 stars out of 5 I would say only to rent it, do not buy it because once you buy the game and beat you will get really bored and the online has to many glitcher’s. 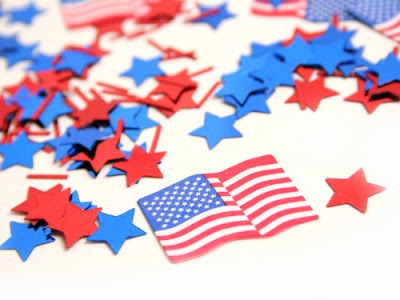 I want to thank everyone for taking the time to read this and I hope everyone has a good 4th of July.